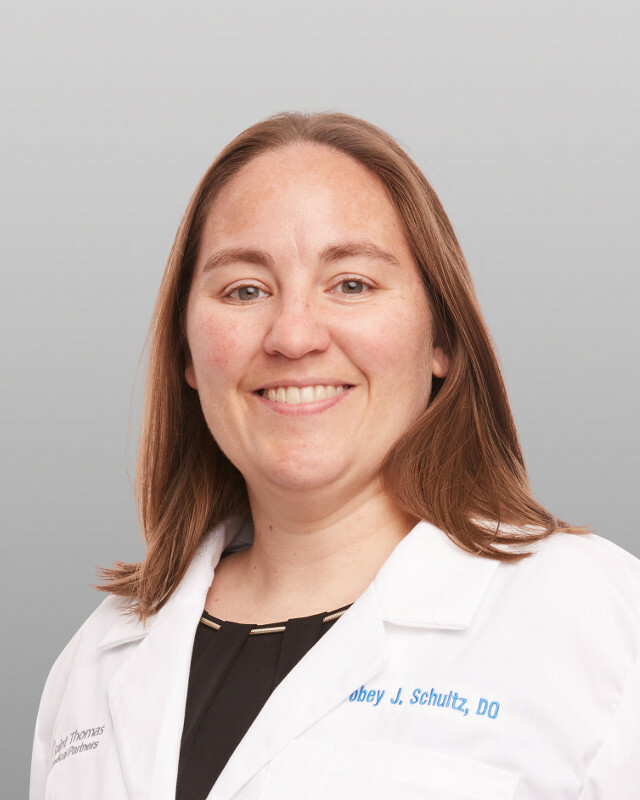 Dr. Schultz is a primary care physician, board certified in family medicine. In 2013, she completed medical school as a Doctor of Osteopathic Medicine at Lincoln Memorial University – DeBusk College of Osteopathic Medicine. She played NCAA Division-I Women's Soccer at MTSU and since "retirement" has enjoyed helping coach 3-6 year old co-ed teams. She enjoys hiking, kayaking, paddle boarding, camping and just being outdoors. Dr. Schultz loves spending time her family, especially her nieces, whom she has thrown many tea parties for. I played NCAA Division-I Women's Soccer at MTSU and since "retirement" have enjoyed helping coach 3-6 year old coed teams. I enjoy hiking, kayaking, paddle boarding and camping; being outdoors in general. I really love to spend time with my family, especially with my nieces; I throw a mean tea party.